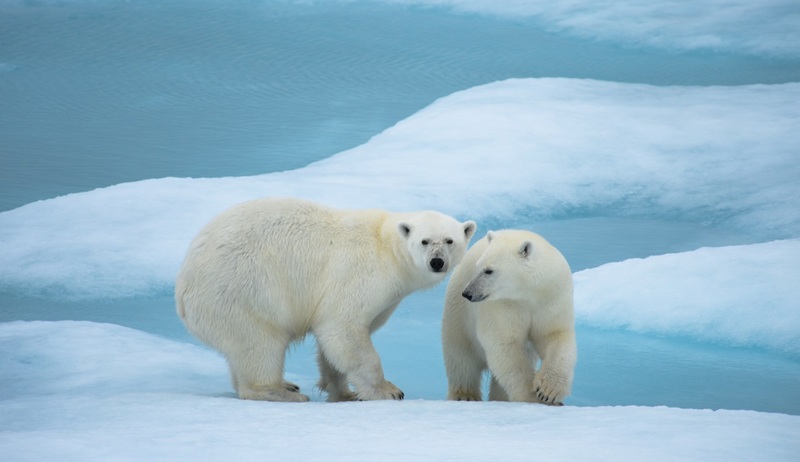 Follow the trail of the polar bear during an Expedition Cruise in the Arctic. 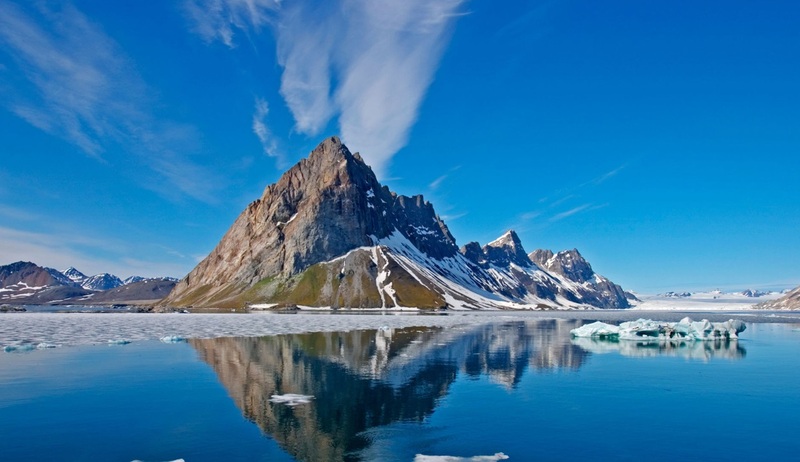 Set sail aboard L’Austral for a memorable 13-day cruise around Spitsbergen, one of the jewels of the northern hemisphere. 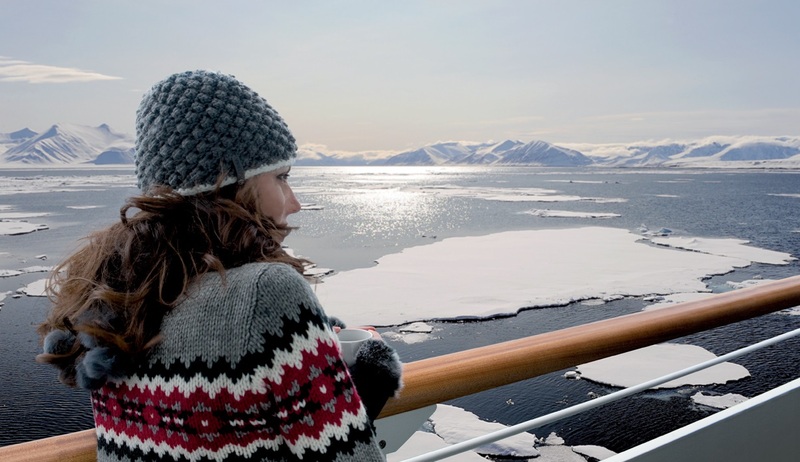 Setting sail from the cosmopolitan village of Longyearbyen, your journey will begin with an exploration of the wild and unspoiled east coast of Spitsbergen. You will then reach the Bellsund fjord, whose lush green valleys will not fail to delight you. This will be followed by a visit to Ny-Ålesund, the former mining town that is today home to a scientific base, a museum and the most northerly post office in the world. Further to the north you will find the majestic Monaco glacier, an impenetrable wall with blue-tinged highlights. You may even encounter a polar bear – a moving experience that you will never forget – before charting a course south to conclude your journey. Charter flight from Paris to Longyearbyen. Transfer to ship and set sail in the early evening. Located to the east of Spitsbergen, in Storfjorden, Agardhbukta is a former trapping site where a cabin remains. During your visit here, you will have the opportunity to see the ice floes and explore one of the spots where the polar bears pass by to travel to Bellsund, on the western coast of Spitsbergen. The vast plains of the Agardhdalen area also offer the possibility of long hikes to disover the High Arctic tundra. Nestling on the south-east point of the island of Spitsbergen, the small bay of Isbukta shelters an immense glacier, the Vasil’evbreen, whose front is more than 20 kilometres long. 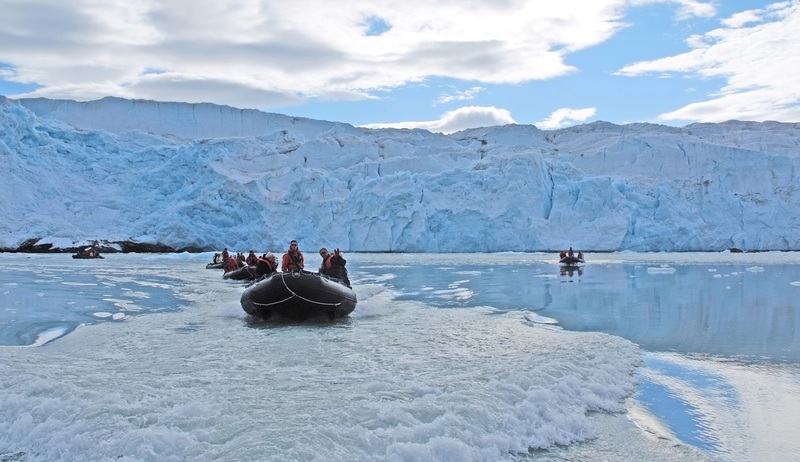 This is an opportunity for an unforgettable Zodiac® outing. If the conditions allow it, you will be able to land directly at the foot of this majestic, so as to discover the moraine and walk on the first section of the glacier. 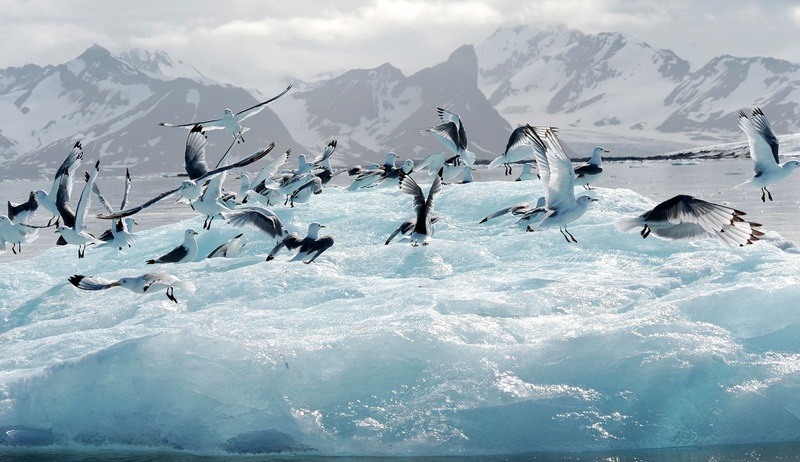 Depending on the ice conditions, you will also perhaps be lucky enough to approch Stellingfjellet, home to one of the largest guillemot colonies on the archipelago. Very close to the former mining town of Ny-Ålesund, set off to discover Kings Bay and the magnificent surprises it holds in store for you. Your ship will sail in one of the most beautiful fjords in Svalbard: Kongsfjorden (the fjord of the King), a gateway to grandiose landscapes. Here, the snow-capped mountains are reflected in the water where superb icebergs try to outdo each other in their beauty, a delight for photographers. Bearded seals, reindeer, barnacle geese and black guillemots frequent these places that have a unique atmosphere. Once you arrive at the end of the fjord, admire the Kongsbreen (glacier of the King) and its three characteristic rocky points, which take their names from three Scandinavian countries: Svea (Sweden), Dana (Denmark) and Nora (Norway). Sailing into Wijdefjorden will guarantee you an unforgettable moment of wonderment. The particularity of this gigantic fjord is that it almost entirely separates the island of Spitsbergen in two, from north to south. Sailing in Wijdefjorden will enable you to reach the Daghøgda Valley and go for an exceptional hike along an ancient glacial valley. At the end of your walk, you will reach two lakes surrounded by impressive vertical cliffs. 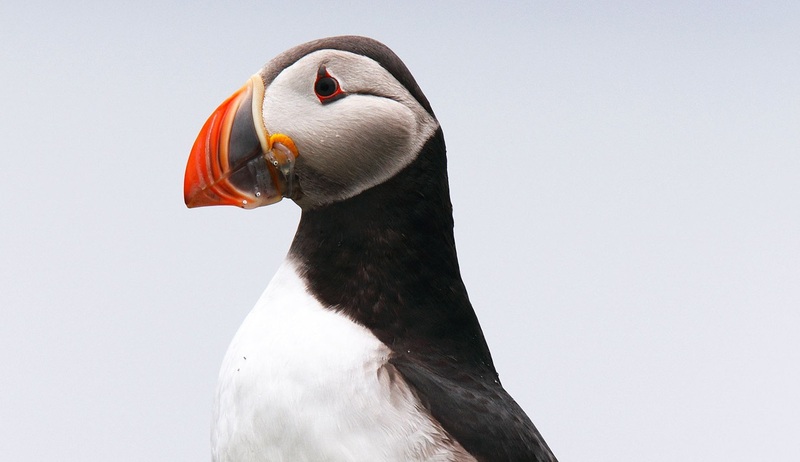 It is an exquisite spectacle, in the heart of the Svalbard Archipelago’s longest fjord. During your day at sea, make the most of the many services and activities on board. Treat yourself to a moment of relaxation in the spa or stay in shape in the fitness centre. Depending on the season, let yourself be tempted by the swimming pool or a spot of sunbathing. This time without a port of call will also be an opportunity to enjoy the conferences or shows proposed on board, to do some shopping in the boutique or to meet the expert photographers in their dedicated space. 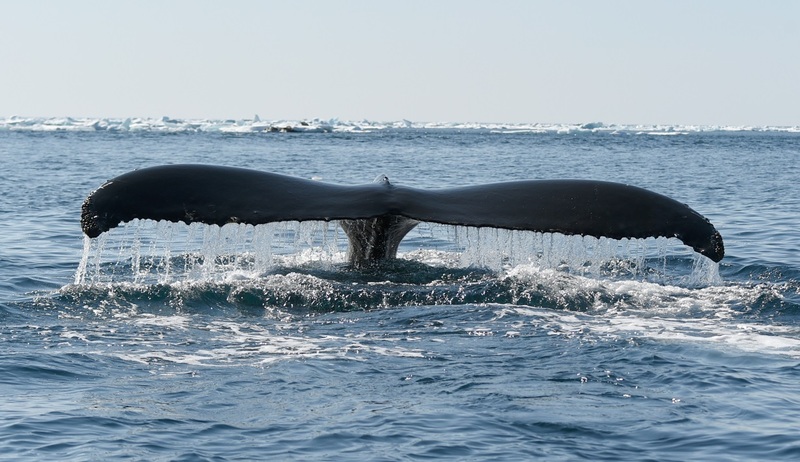 As for lovers of the open sea, they will be able to visit the ship’s upper deck to admire the spectacle of the waves and perhaps be lucky enough to observer marine species. A truly enchanted interlude, combining comfort, rest and entertainment. At the entrance to Cross Bay, between tundra, plutonic rocks and mountains covered with a surprising endemic flora, the glacier’s surroundings are frequented by numerous birds (Tridactyl gulls, thick-billed murres, barnacle geese, common eiders, Atlantic puffins…), as well as Arctic foxes and reindeer. As you arrive in front of the glacier, admire the impressive wall of ice and the reflection of the cliffs in the water. 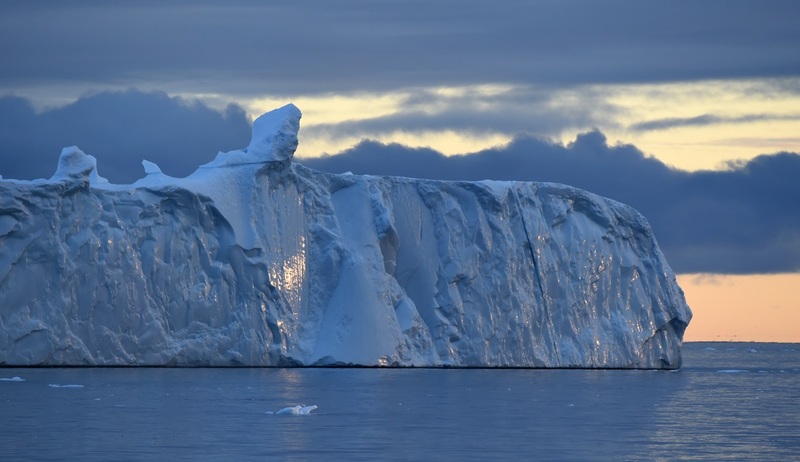 It is quite common to see a section of ice come loose, or a bearded seal lounging on an iceberg. Disembark in the morning and transfer to airport for flight back to Paris.